Food Should Taste Good (FSTG) is a innovative snack company that makes great tasting products with real ingredients. 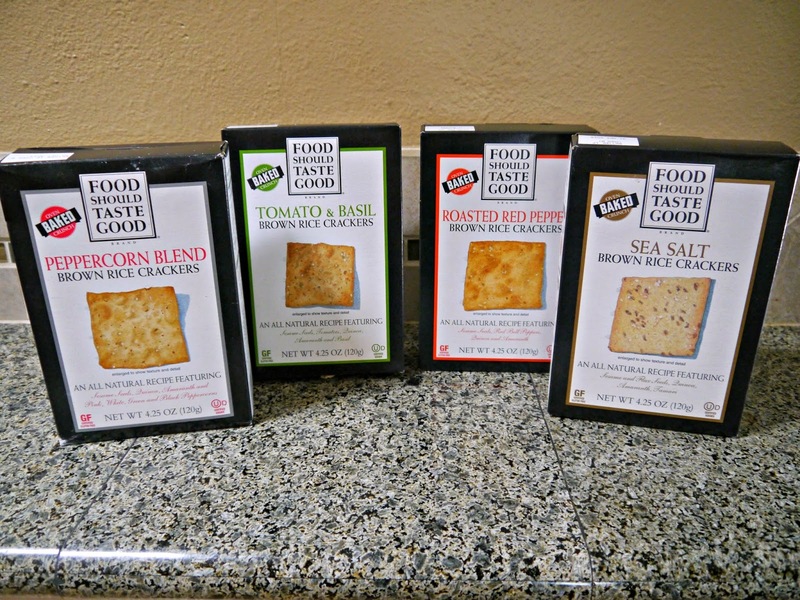 Recently I received some boxes of 'Food Should Taste Good' new Brown Rice Crackers to try out. These crackers are 'top 8' free (except for one flavor that contains soy sauce). They come in 4 flavors: Peppercorn Blend, Tomato Basil, Roasted Red Pepper, and Sea Salt.